Aire-Master fragrances are unique, complex blends, designed to perform. The final product gives you a more appealing fragrance. The variety gives you more choice. The overall experience gives you more value. Warm, fresh apple aroma. Top notes: black current, ripe jonathan apple. 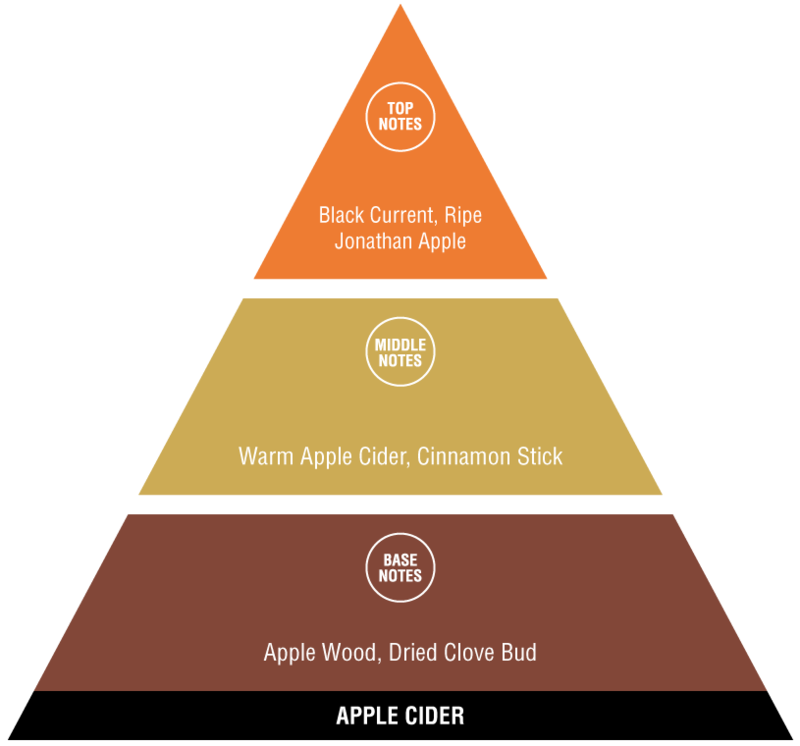 Middle notes: warm apple cider, cinnamon stick. Base notes: applewood, dried clove bud. Green bay leaf, balsam, juniper berry on a foundation of warm musk and amber woods. 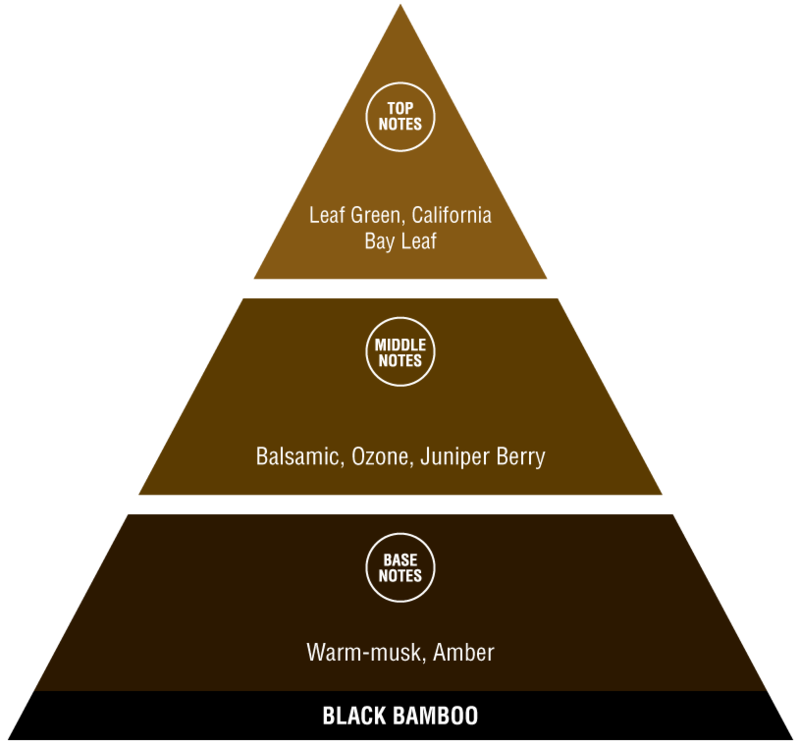 Top notes: leaf green, California bay leaf. Middle notes: balsamic, ozone, juniper berry. Base notes: warm-musk, amber. Bright, festive top notes with floral, woody base. 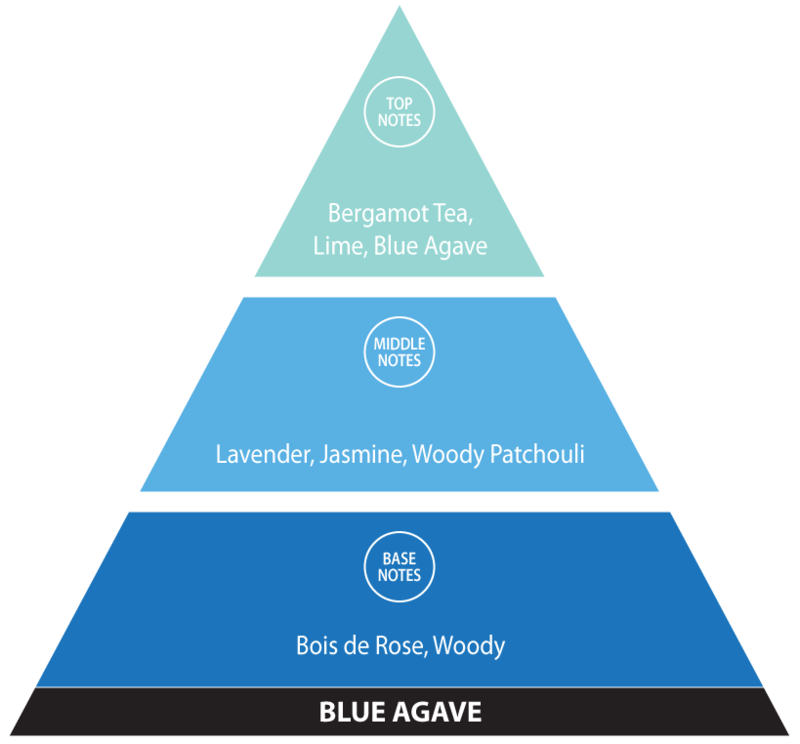 Top notes: bergamot tea, lime, blue agave. Middle notes: lavender, jasmine, woody patchouli. Base notes: bois de rose, woody. Wild cherry and blueberry blend. Top notes: sweet cherry, tropical fruit. Middle notes: sugared blackberry and raspberry. Base notes: warm florals, vanilla undertone. Spicy cinnamon aroma. 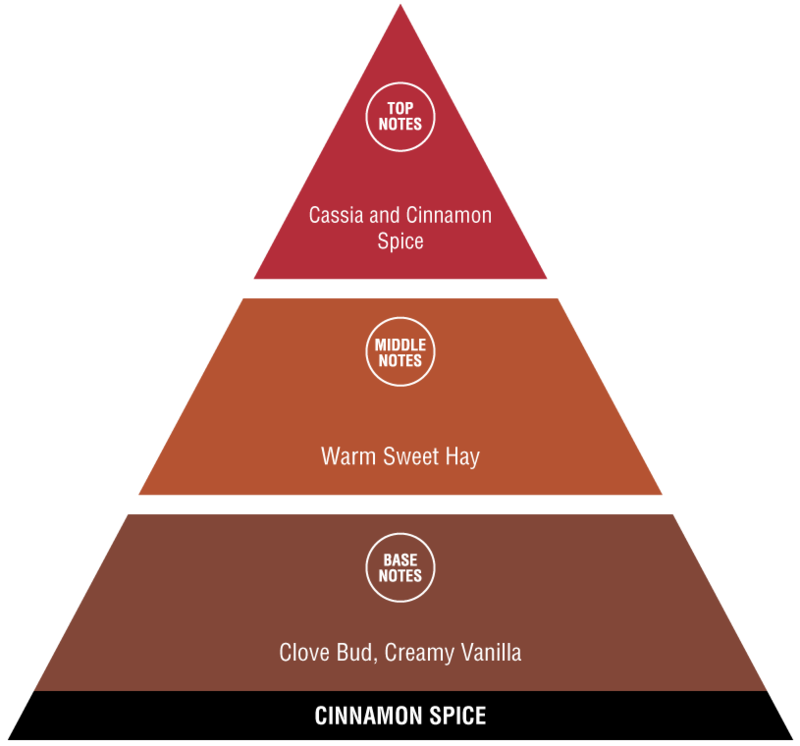 Top notes: cassia and cinnamon spice. Middle notes: warm sweet hay. Base notes: clove bud, creamy vanilla. Floral blend with orange top notes. Top notes: tart citrus, citrus zest. Middle notes: rose and violet floral. Base notes: fresh musk, mossy. Fresh linen, clean citrus top notes. Top notes: crisp, fresh cotton linens. Middle notes: ozonic, calming watery floral. Base notes: green florals, creamy woody. Sweet cranberry aroma. Top notes: caramelized strawberries, apple peel nuances. Middle notes: tart crushed cranberries. Base notes: applewood, sweet raspberry. Mix of lime, orchid, and amber musk. Top notes: peach, lemon. Middle notes: carnation, orchid, lily, violet, peony. Base notes: sandalwood, musk. Fresh, natural orange. Top notes: sweet orange zest, fresh lime twist. Middle notes: red navel orange, sweet floral. Base notes: bergamot, orange pith. Fresh citrus and cedarwood on a bed of florals. 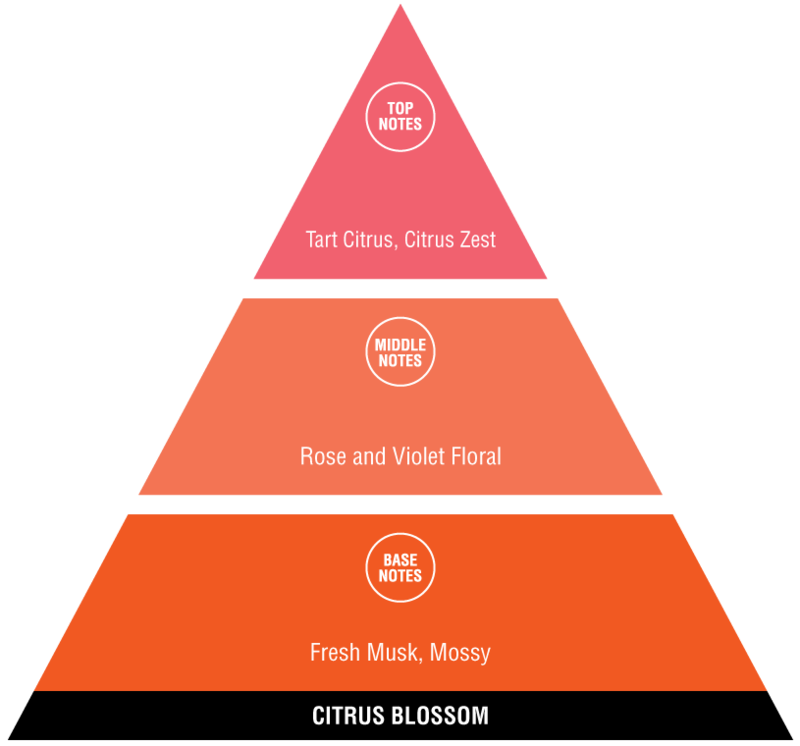 Top notes: fresh, mild citrus. Middle notes: woody, cedarwood. Base notes: smooth floral undertones. Tropical fruit blend. Top notes: sweet raw cane sugar, orange zest. Middle notes: ripe mandarin orange. Base notes: sweet hay field, vanilla extract. Juicy, tart grapefruit with sweet, fruity undertones and a creamy vanilla base. Top notes: crisp, tart grapefruit. Middle notes: crisp, tart grapefruit. Base notes: juicy citrus, fruity. Sweet Oriental spice. 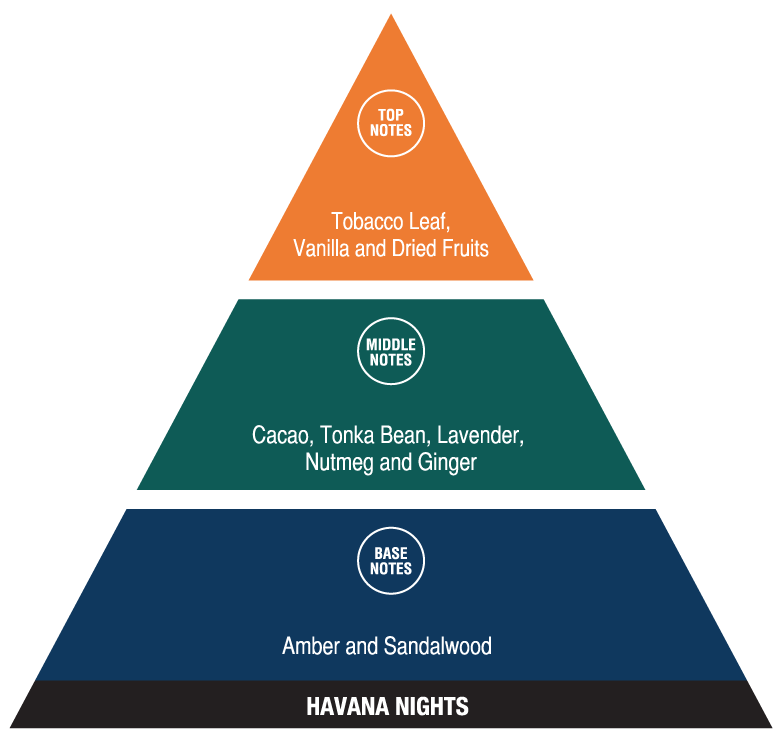 Top notes: tobacco leaf, vanilla, dried fruits. Middle notes: cacao, tonka bean, lavender, nutmeg, ginger. Base notes: amber, sandalwood. Fresh lemon with a twist of orange. Top notes: fresh lemon and lime zest. Middle notes: sweet lemon drop, orange blossom. Base notes: soft floral. Blend of peppermint and spearmint. Top notes: cooling, minty. Middle notes: sweet peppermint, spearmint leaves. Base notes: soft and green florals. Sweet fruit and berry mixture. No fragrance, for odor killing only. Oriental orange spice with floral dryout. Top notes: citrus splash, orange and lemon zest. Middle notes: fresh floral, fresh squeezed sweet orange. Base notes: spicy balsamic, ginger root. Sweet, tropical fruit blend with a vanilla base. Top notes: orange, mandarin, apple, pear. Middle notes: pomegranate, strawberry, raspberry, pineapple, plum, rose, coconut. Base notes: vanilla, woody, amber. Fresh, clean island atmosphere of tropical fruit and florals. Top notes: fresh, clean, leafy-green. Middle notes: fruity, mixed berries and sweet floral notes. Base notes: woody with smooth musky undertones. Sweet raspberry aroma. 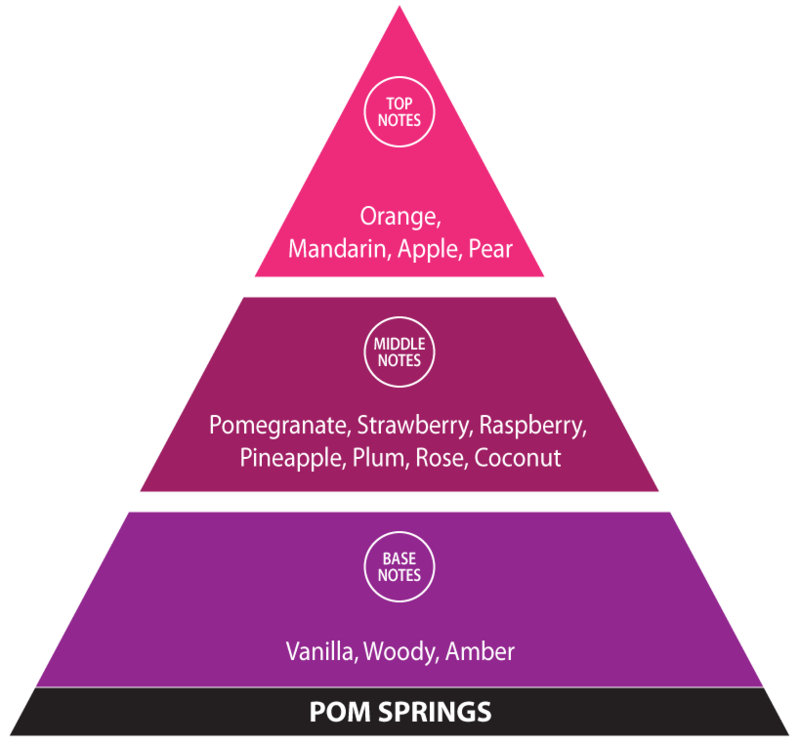 Top notes: sweet berry, black plum. 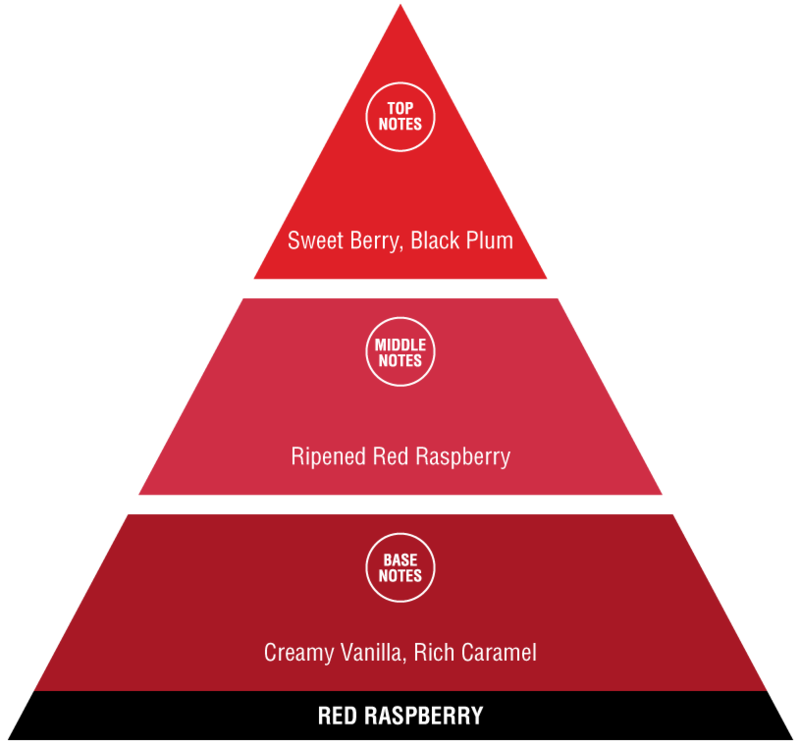 Middle notes: ripened red raspberry. Base notes: creamy vanilla, rich caramel. Berries and apples with powdery base. Top notes: warm tropical air, pineapple slice. 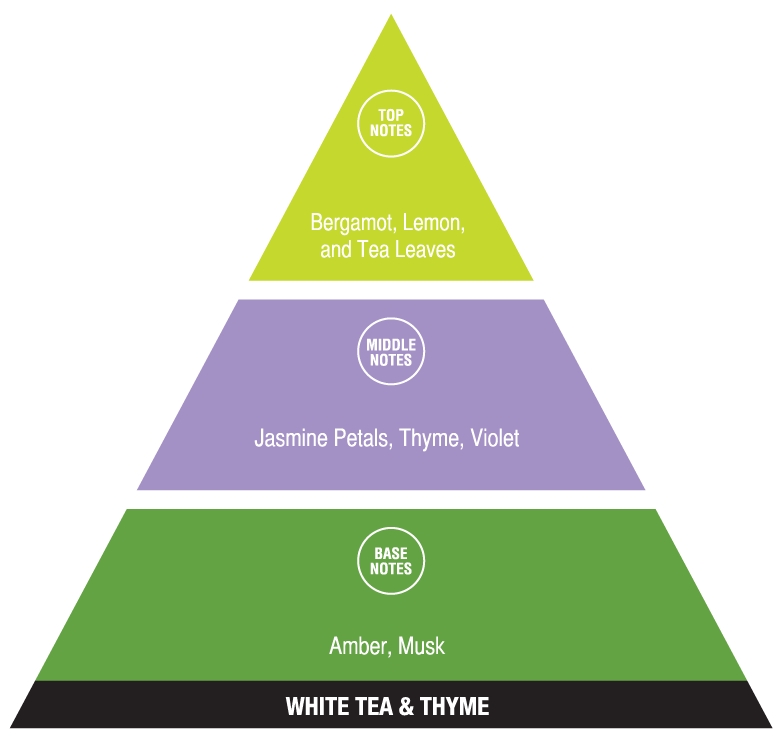 Middle notes: jasmine, topical florals. 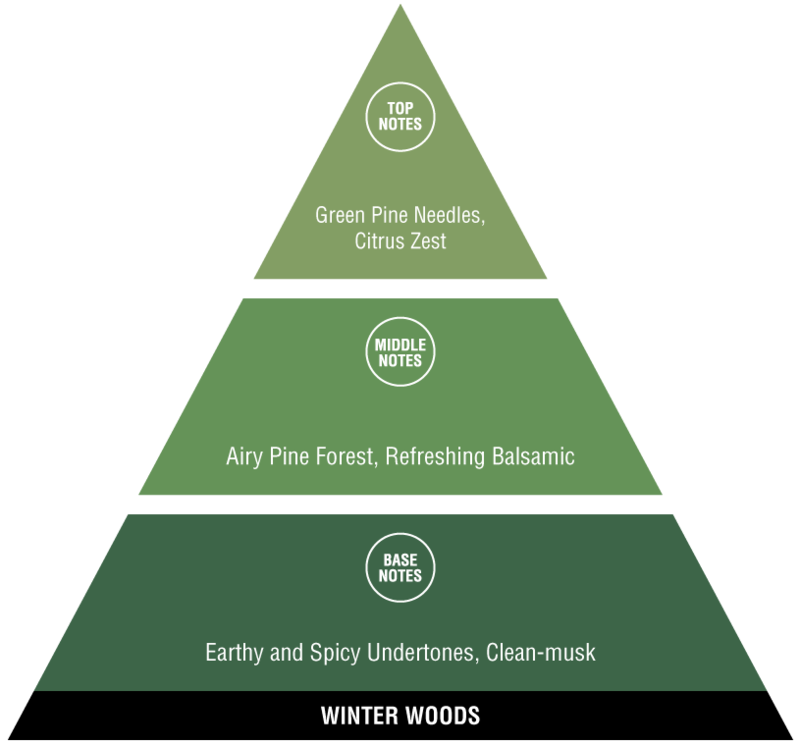 Base notes: fresh woods, fresh musks. A crisp blend of mango and jasmine, with orange, peach, and pineapple top notes. Top notes: citrus-orange, lemon leaf. Middle notes: fruity-pineapple, peach, strawberry. Base notes: musky-melon, coconut. Warm, long lasting vanilla aroma. Top notes: sweet floral, coconut nuance. Middle notes: vanilla bean, creamy vanilla. Base notes: sweet sun-kissed hay. This comforting citrus floral pairs the sweet, mild fragrance of white tea leaves and lemon with a garden bouquet of violet and thyme. Top notes: bergamot, lemon, tea leaves. Middle notes: jasmine petals, thyme, violet. Base notes: amber, musk. Sweet grape scent. Top notes: ripe banana, sweet fruity. Middle notes: aromatic concord grapes. Base notes: soft lily floral, vanilla undertones. Evergreen with a floral twist. Top notes: green pine needles, citrus zest. Middle notes: airy pine forest, refreshing balsamic. Base notes: earthy and spicy undertones, clean-musk. Natural earthy floral blend. Top notes: lemon zest, white jasmine. Middle notes: rosy woods, herbal. Base notes: cedarwood, fresh cherry wood. The top notes, middle notes, and base notes interact with and influence each other in subtle and sometimes unexpected ways. The most volatile ingredients — small, light molecules that evaporate quickly. They create the initial impression of the fragrance. These notes emerge just as the top notes begin to fade. The middle notes are the body of the fragrance, and together with base notes, create the main theme. The final stage of the evaporation process. They bring richness, depth, and solidity to a fragrance. Aire-Master fragrances are unique, custom blends, designed for maximum performance and aroma quality. Not every fragrance appeals to everyone, nor is every fragrance ideally suited to every environment or situation. That is why Aire-Master offers the widest variety available. Citrus fragrances are fresh and zesty, often blended with floral or spicy notes. Fruits can come on strong, but their middle and base notes are surprisingly rich. Florals come from, and are inspired by, a wide variety of flowering plants. Herbs and Spices include some of our most loved, classic fragrances. Woody fragrances can range from sweet to earthy, and are very long lasting. 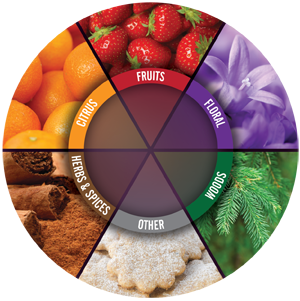 Other fragrances include food-type aromas, colognes, and seasonal scents.